Whenever you chat with your friends on Facebook or Gmail, you often see new blinking message which appears on Title of browser when you’re on other webpage or tab. 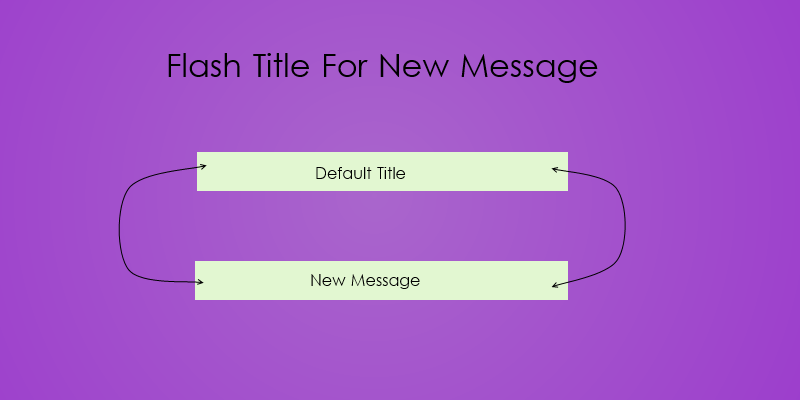 This tutorial post will help you to flash Title of web browser for new message. You can use this tutorial to show new message arrives when you are looking at message list, example Stack overflow questions, Chat message.